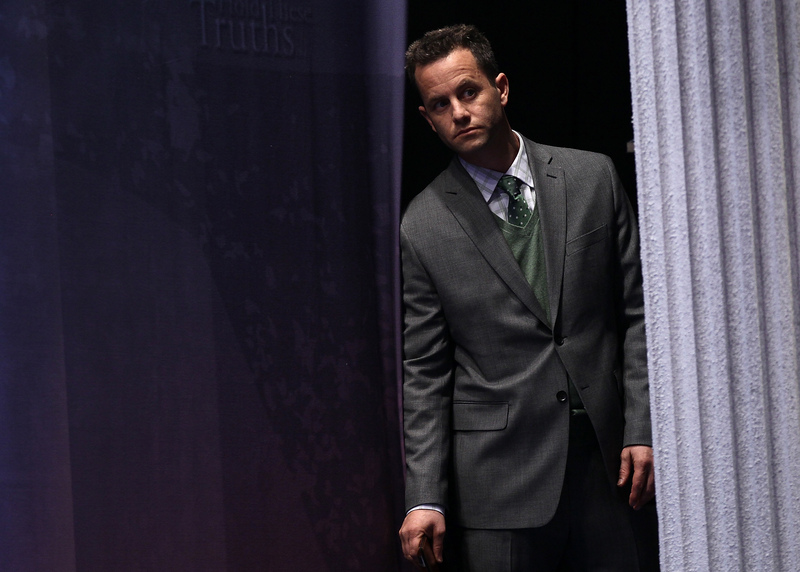 I don't think I ever thought I'd say this, but I am dying to see religious zealot Kirk Cameron's new movie. Called Unstoppable, it's going to take over the world on September 24, when its first and only showing will premiere at Liberty University, a Christian college in Lynchburg, Virginia that was founded by televangelist Jerry Falwell, who famously blamed feminists and gays for September 11. Cameron's flick is so controversial, though, that Facebook and YouTube won't allow the trailer on their sites ... making me all the more intrigued by this righteous film. Cameron, not surprisingly, is more than a little bummed that Unstoppable has been, stopped, from reaching the masses. He insisted on his Facebook page that there's nothing to be afraid of — the movie is about hope and love, you guys. Oh, and about how god let's bad things happen to good people. The powers at Facebook flagged the trailer as "abusive" and "unsafe", something Cameron vehemently denies, but you know, maybe he should embrace their categorization. It's the best publicity he could've asked for. Normally, I don't spend m'days hunting down info on movies made by former '90s stars turned fundamentalists, but now, because I can't see it, I have to see it. Anything that's so offensively religious that even YouTube won't show it has to make for good watchin', right? There is, however, this trailer for Unstoppable in which Cameron may or may not talk about time travel. And there's something about God's charts? I don't know, I was too preoccupied by the bald man covered in blood.